After so many months into winter we are tired of wearing the same coats. A great way to give them a fresh look is adding a belt. It will not only update any coat but it will also make it look cool. 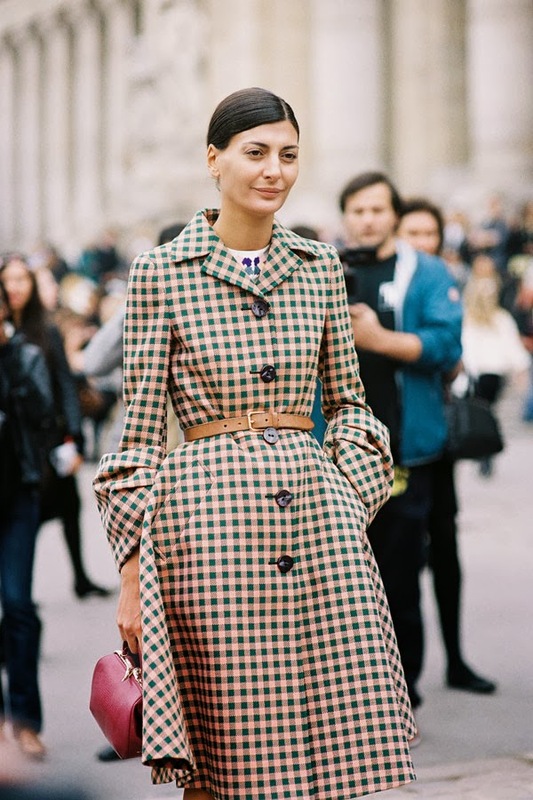 Depending on the belt and the coat you choose, it can look either super casual or dressy. It’s a favorite of many trendsetters like Miroslava Duma, Giovanna Battaglia, and one of my style icons, Emmanuelle Alt. These are some ideas to inspire you. Después de tantos meses de frío ya estamos cansadas de usar siempre los mismos abrigos. Una manera de cambiarles el look es agregándoles un cinturón. Este pequeño detalle lo transforma en forma inmediata y hace que se vean no sólo como nuevos sino también súper modernos. Dependiendo del abrigo y el cinturón que elijas puedes lograr un look casual o bien elegante. Es favorito de muchas de las chicas que marcan moda como Miroslava Duma, Giovanna Battaglia y una de mis favoritas, Emmanuelle Alt. Estas son algunas ideas para inspirarte.